Everything you need to know about the superyacht set’s low-key luxury obsession. A 12-meter dayboat idles a few thousand feet from shore. Snub-nosed and painted a rich oxblood red, it looks nothing like the taut and powerful pleasure craft in its midst. 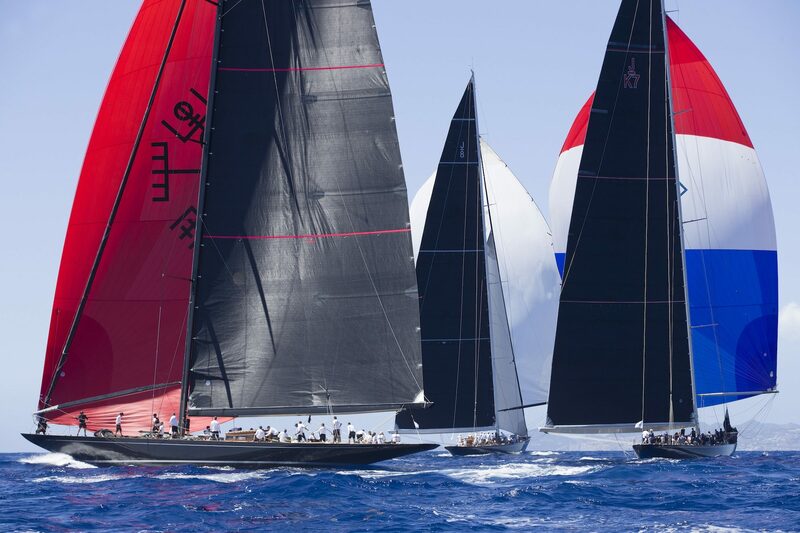 These vessels have massed off the French Caribbean island of St. Bart’s to witness something sublime: the world’s largest sailing yachts making a downwind regatta start. Elegant J-Class boats are first to the line, their billowy spinnaker sails filling with breeze. And yet, even as these grandes dames don their finest silks, it’s the bobbing, jaunty red bathtub that has onlookers agog. “It is like a boat from a comic book, you know?” says Axel de Beaufort, the artistic director of Hermès’s special projects division. 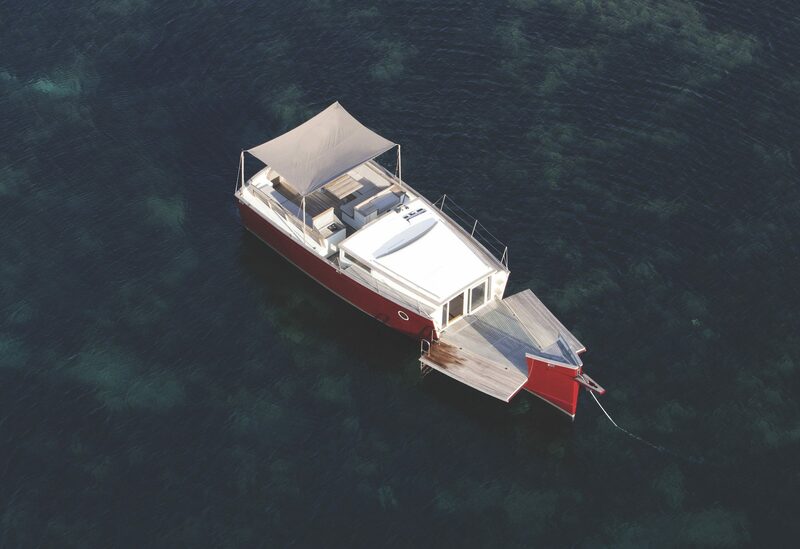 The boat, Rocabar, is a Hermès creation—not that the uninformed eye would ever discern that. Lacking the telltale “H” or any other defining marker, Rocabar is the ultimate personal bauble. 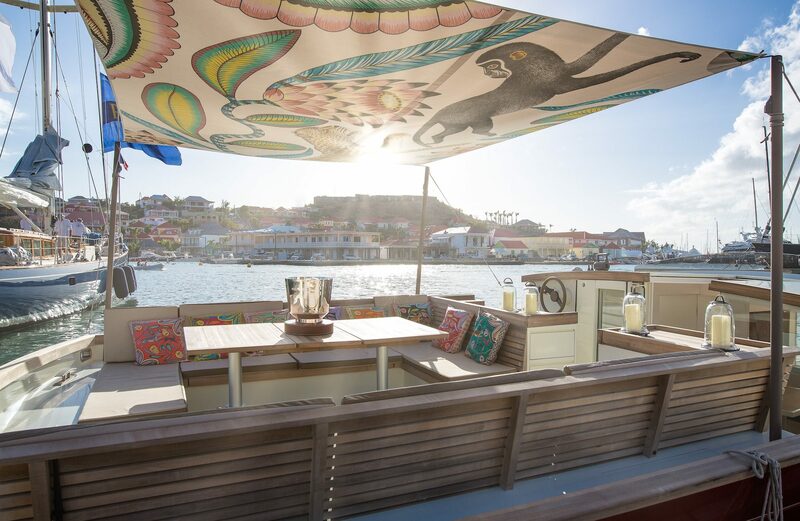 Surface was aboard Rocabar—and on St. Bart’s—to experience the Bucket Regatta, a three-day sailing race in late March that has become a pivotal stop on Hermès’s social calendar. Marketing textbooks would call the house’s activities on the island “brand activations,” but that doesn’t seem to faze the Bucket’s commercialization-averse stewards. 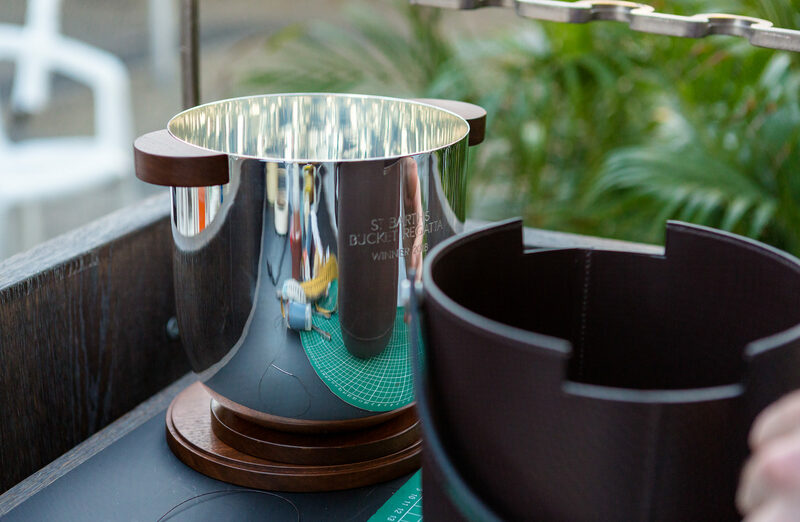 Indeed, the Parisian company wields a kind of soft power here, having been welcomed to design the regatta trophy, host an invitation-only starlit garden party for yacht owners and their coteries, and raise awareness in subtle, almost imperceptible ways for Le Sur-Mesure Hermès, the workshop that brought Rocabar into being. To use the Disney term, Le Sur-Mesure is an imagineering department. 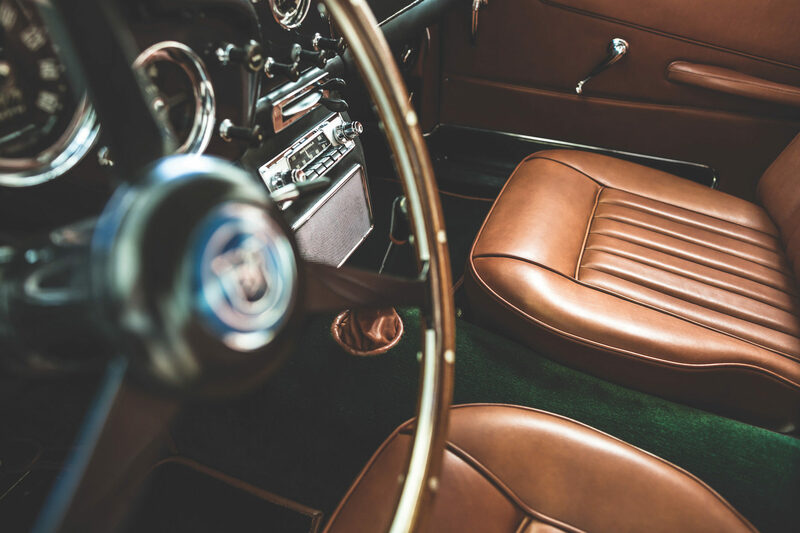 When Hermès clients have a vision for a highly personal project that the brand’s hyper-specialized artisans might help bring to life, they call Le Sur-Mesure. The atelier is based, along with other Hermès workshops, in the Paris suburb of Pantin. 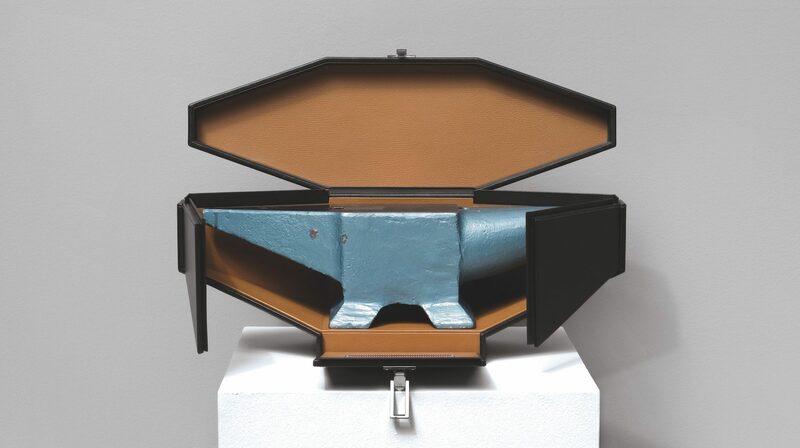 One-off projects created under its direction include a skateboard with a custom brown-leather carrying sling; a winged horse saddle in red, yellow, and orange worthy of Wonder Woman; a fastidiously stitched picnic box; and an acid-green protective case for an apple (lowercase “a”). Roller skates are in development, as are boxing gloves. 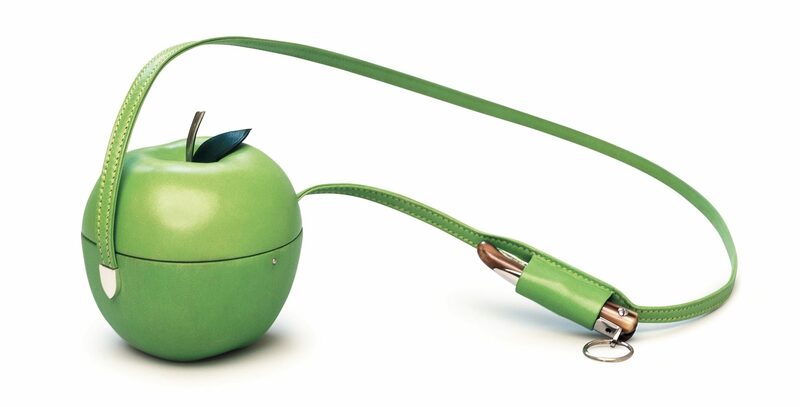 Founded in 1837 to serve the horse-harness needs of affluent Parisians, Hermès branched out over the subsequent 181 years into saddlery, belts, handbags, scarves, fragrances, wearables, lamps, wallpaper, tableware, furniture, and ready-to-wear collections. Throughout the brand’s expansion, Sur-Mesure has remained a constant, if low-key, offering amid the relative profusion of gleaming “H” belt buckles and Birkin bags. The low profile is by design. “It will never be written big: ‘Here is my Le Sur-Mesure Hermès bag,’” says Christophe Beltrando, the atelier’s managing director. “Only the client needs to know it was made for them.” It’s one thing to buy a $20,000 bag because it’s an Hermès. Quite another to request Le Sur-Mesure to produce something that someone might never recognize as an Hermès. That discretion, not surprisingly, is worth a fortune. Not that Le Sur-Mesure is talking numbers. Though the Hermès team would never say so, attending the Bucket is good business. The concentration of wealth is simply astounding. In port, snippets of conversation suggest that participating yacht owners are captains of entire industries, not just boats. And though Hurricane Irma ravaged St. Bart’s last September, the waves are rolling toward shore this early-spring weekend with measured grace, the $25,000-per-week hilltop villas are booked, the beachfront restaurants are grilling lobster tails, and the tight harborside lanes heave with traffic. Inland, crews repair the occasional roof or driveway, but a visitor with no knowledge of the calamity that visited the Caribbean last summer would presume they were witnessing routine maintenance. Meanwhile, on a bougainvillea-dotted hill, with unimpeded views of yachts bobbing in the cerulean waters below, Hermès lodges team members and entertains visitors through the weekend. Animal-inspired prints from the brand’s Savana Danse motif hang on the villa’s stucco walls. Ashtrays are full. Rosé bottles are empty. It’s like a scene from an Ian Fleming novel, only with laptops and iPhone chargers. “The surf here has been super,” de Beaufort says, tan and open-collared. When not meeting with Le Sur-Mesure clients, the artistic director has been exploring the island’s many breaks. Even on an ostensible work trip, de Beaufort makes time for this lifelong passion. “A weekend like this is about having fun,” he says with an impish grin. The Bucket is no America’s Cup, but competition is intense. Boats round marks in tight succession, with very little open water between them. And yet, after the regatta’s third and final day of racing, crews from the 26 entered yachts are awash in Carib and Havana Club, laughing and smelling like, well, drunken sailors. 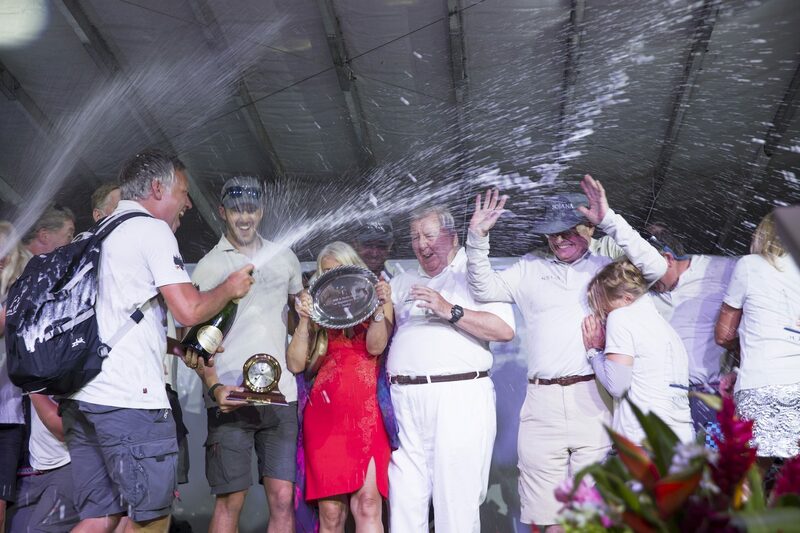 Later, on the award podium, the (mostly) white-haired victors of individual boat classes pop magnums of Champagne, but spray more than they drink, leaning for stability on women 20 or 30 years their juniors. The overall winner, meanwhile, receives the sweetest prize of all: the regatta trophy. An Hermès leather artisan stitched the base, and a metalworker hammered out the silver cup portion. Beltrando is onstage when the 30-strong crew of the sloop Nilaya swarms the podium to claim the award, which will be shipped promptly to France for engraving before being sent back to St. Bart’s to sit “in state” until the race’s 2019 edition. Hermès is not even mentioned by the emcee, and yet the omission speaks more loudly than any brand shout-out could. Back at the villa, de Beaufort says that the atelier’s objective is ultimately to build objects that resonate deeply. “If we manage to create an emotional bond for the client, then we’ve succeeded,” he says. But affection can flow both ways. Asked whether a certain Le Sur-Mesure commission has ever claimed his heart, de Beaufort pauses, then offers the perfectly politic non-answer. “I once told the owner of a boat I designed, ‘You know, you may sail it all over the world, or you may sell it to someone else, but it will always be my boat,’” he says. But de Beaufort is betrayed by an object just outside the villa, lying atop a weathered wood table. 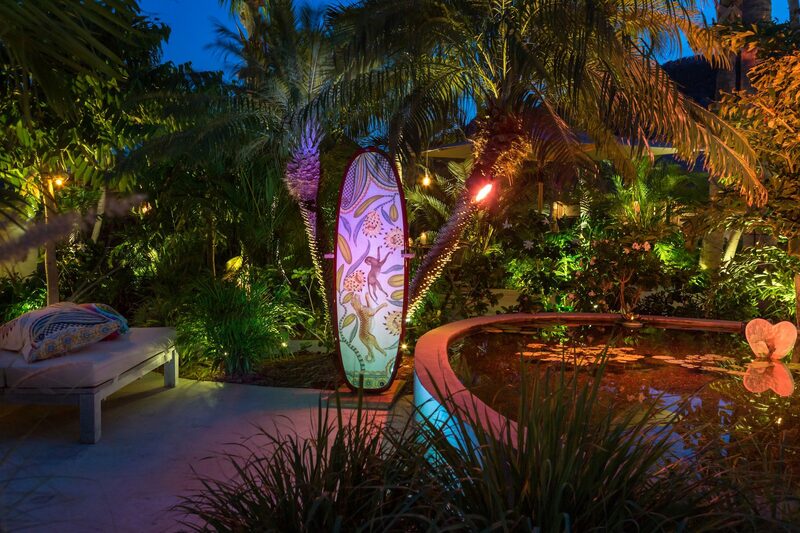 It’s an early prototype for a surfboard, and it sports a leopard-and-monkey graphic from Hermès’s Savana Danse series. The final product will ultimately travel to the Hermès boutique at the Royal Hawaiian Center in Waikiki, which is slated to reopen in March 2019 following a massive expansion. De Beaufort runs his fingers over the board’s deck, which is rough and nubbled from a week of waxing. Like a well-broken-in saddle, it has acquired the unique imprint of its user. “The waves have been really good,” de Beaufort says. And smiles.